To Color or not To Color that is the question...or something along those lines! 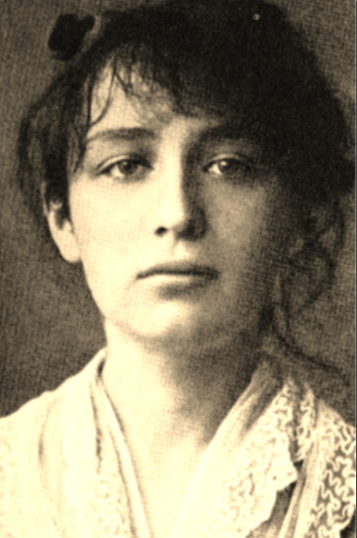 Here are two of my favorite artists whose images have recently been tinted into colorized versions!! 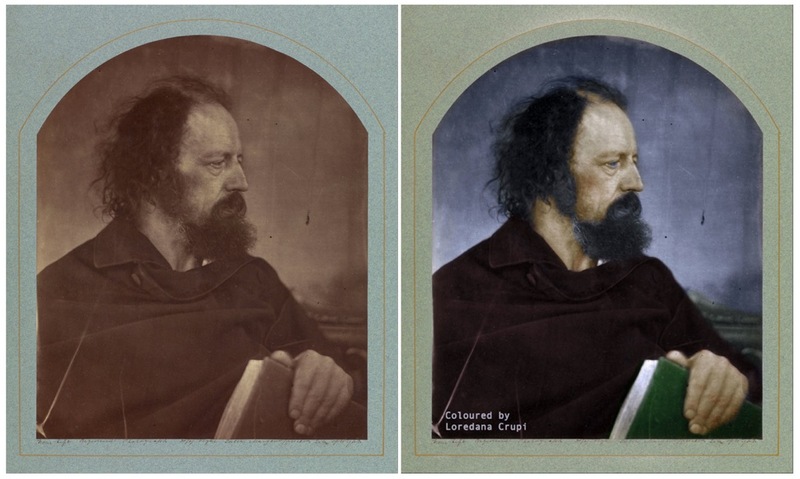 Alfred Lord Tennyson and Julia Margaret Cameron (nee Pattle). 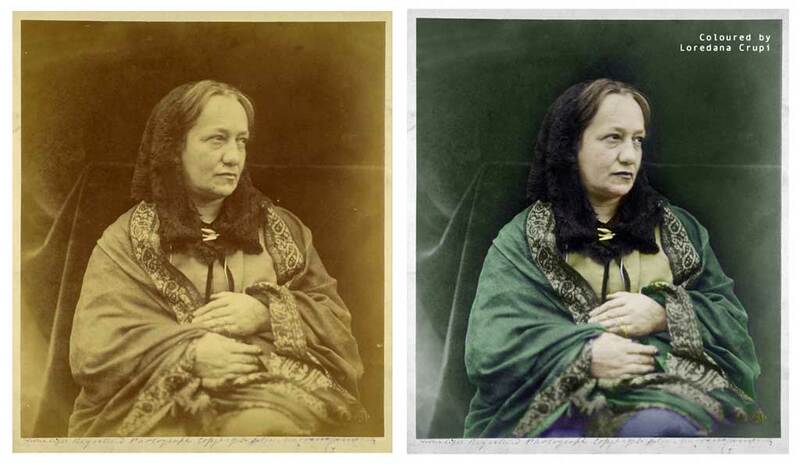 Julia's son, Henry Herschel Hay Cameron's portrait of his mother, photographer Julia Margaret Cameron (1870).